SANTA CLARITA, Calif.–(BUSINESS WIRE)— As the holidays draw near, Princess ships are preparing for another festive season at sea, and weather conditions are again pointing to unusual snow flurries onboard. After an extremely popular debut last year, snow will again magically fall in the ship’s atriums, transforming the vessels into a winter wonderland throughout December. 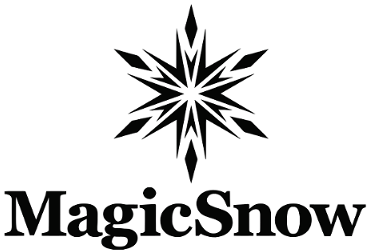 The daily snow flurries are thanks to Hollywood based MagicSnow Systems, who was contracted by Princess to install its snow effects systems on board 15 of its ships. The innovative snow-making process creates falling flakes that vanish on contact, letting passengers enjoy the excitement of snow flurries without the need to bundle up. 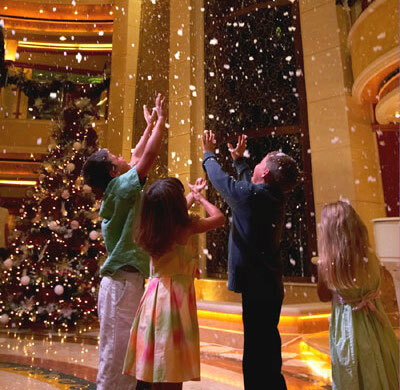 Princess’ daily snowfall will occur on all ships except for the lines’ three small vessels — Pacific Princess, Tahitian Princess and Royal Princess — which do not have large, multi-story atriums. “We wanted to create an illusion of real blizzard, so we developed a customized system for Princess Cruises that allows us to create a real snowfall at sea.” said Adam Williams, founder of MagicSnow. The 17-ship Princess fleet will cover the globe this holiday season, with sailings to the Caribbean, Mexico, the Panama Canal, Asia, Australia/New Zealand, South America, Hawaii and the South Pacific.